My wife and I just picked up 6 dry rooted apple trees that we will use to start our new grove. 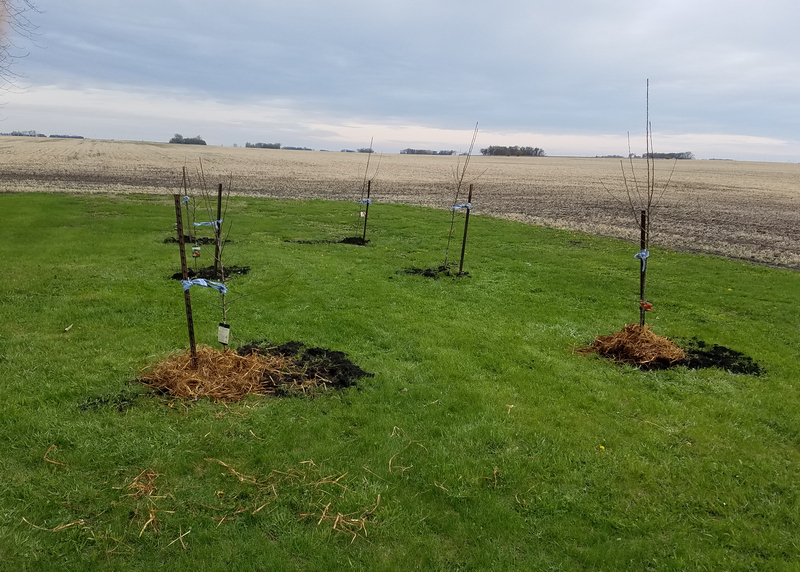 We planted 3 Zestars and 3 Honey Crisp. For now we must protect them from the marauding bunnies that eat anything not guarded by attack dogs. Only three years till we get our first pie!!! Not sure if Age 65 is the optimal time to start an apple grove, but what the heck, someone will get to eat them. This entry was posted in Blog, Farming and tagged Apple trees, Honey Crisp, Zestar. Bookmark the permalink. We are doing the same thing. Will let you know when we get our first apple. Good choice on apples. Our trees are loaded with apples so if all goes well we could share. We have 2 trees and get lots of apples…enjoy! I hope they’re not too greedy.